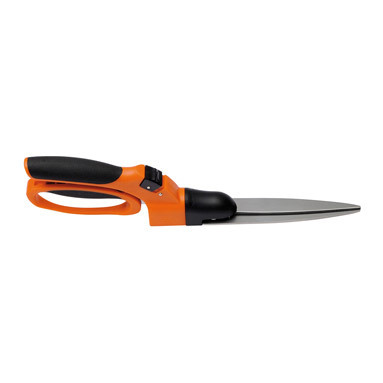 Bahco single handled grass shears - developed for grass cutting and trimming lawn edging. Easily swivels into a number of different positions to enable the cutting of slopes. 90° rotating head makes these trimmers suitable for lawn edging. Stainless steel blades carefully set for self-grinding during use. Finger loop located on lower handle for ultimate hand protection. Non-slip grip on upper handle for added comfort.